Paul Philpott started his auto career in 1988. He joined Kia in 2007. MUNICH -- Former Ford Motor Co. and Toyota Motor Corp. executive Paul Philpott will be the new chief operating officer of Kia's European operations starting in August. Philpott, 42, will be responsible for all of Kia's European operations including sales, marketing, and aftersales and will manage relations with the company's manufacturing operations in Zilina, Slovakia, where the Cee'd compact and Sportage SUV are built. 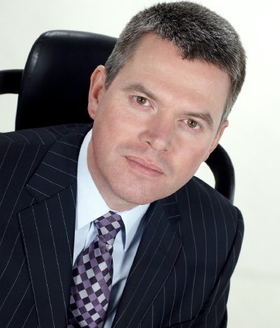 Philpott took charge of Kia's British operations in February 2007 and reorganized the brand operations on a retail- and dealer-focused strategy. Philpott said: "I believe Kia has the potential to be one of Europe's leading retail brands. We will be entering new segments, revitalizing existing models and bringing a third product to our Slovakia plant."